One thing all my Malaysian friends have in common is that they take pride in their country’s cuisine. 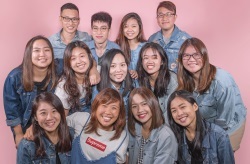 They can spend hours raving to me about their favourite restaurant in Kuala Lumpur or why their version of laksa beats our creamy Katong laksa – which I beg to differ, but that’s a debate for another day. 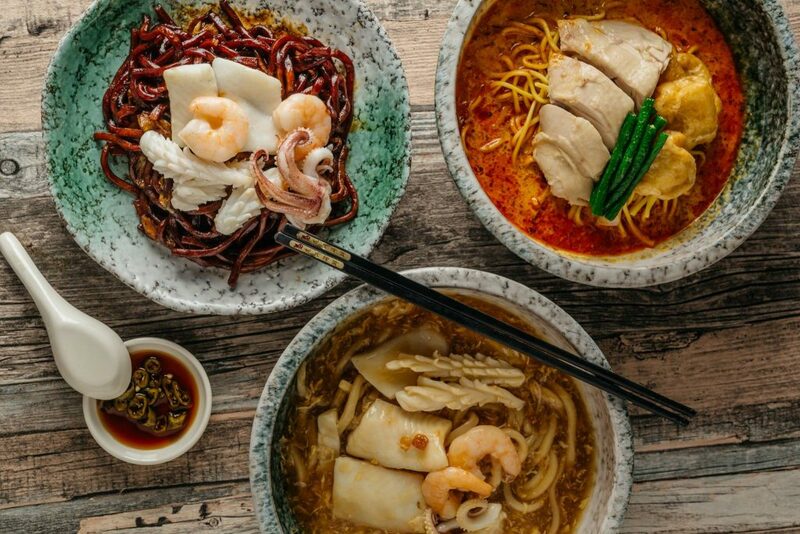 See for yourself if you prefer the Malaysian style of a certain dish at these stores serving Malaysian dishes in Singapore. Growing up with the Klang Hokkien-style bak kut teh, I can never understand why Singaporeans are more favourable towards the peppery soup BKT instead. Venture out of your comfort zone and try to see why I prefer Leong Kee (Klang) Bak Kut Teh’s version to the common Teochew broth. Swimming in a dark, cloudy broth, their Pork Ribs Soup ($6.60) has the right amount of herbal nuances and features fork-tender pieces of meat. Located a few doors down Kin Kin that’s now closed for renovation is KL Traditional Chilli Ban Mee. 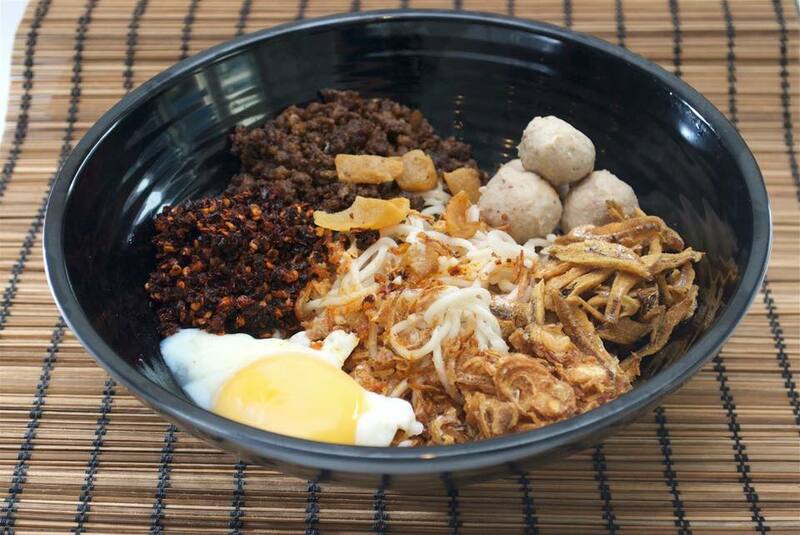 Relish in a spicy bowl of their Signature Chilli Ban Mee ($5) that’s topped with ikan billis, minced meat, and meatballs. Similar to a carbonara, a poached egg is added too, to give the noodles a creamier texture. 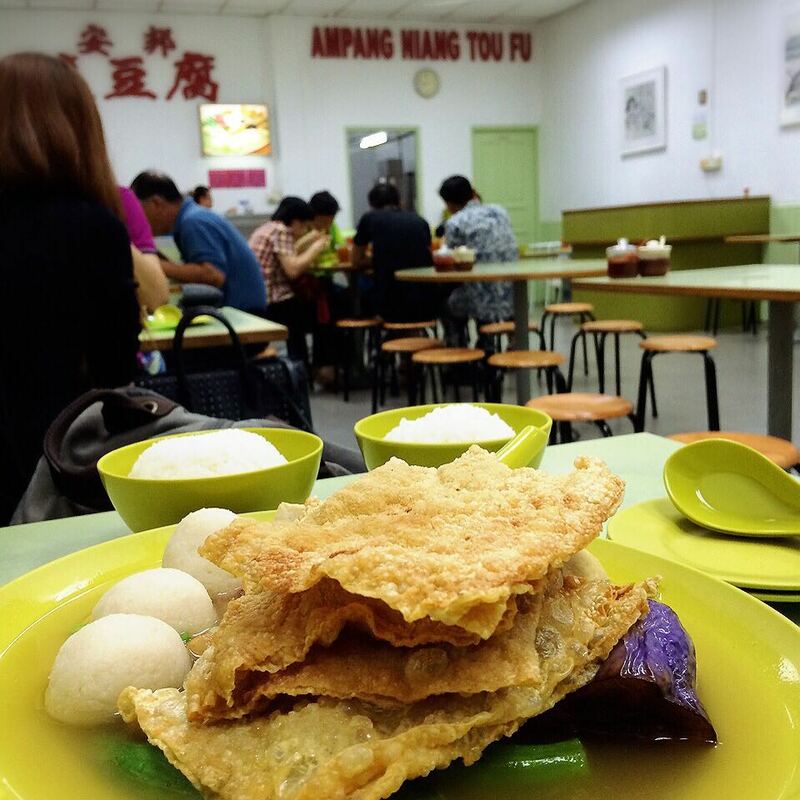 Ampang Niang Tau Foo reminds me of old-school restaurants in Malaysia with its bare walls, pale green tables and rickety stools. 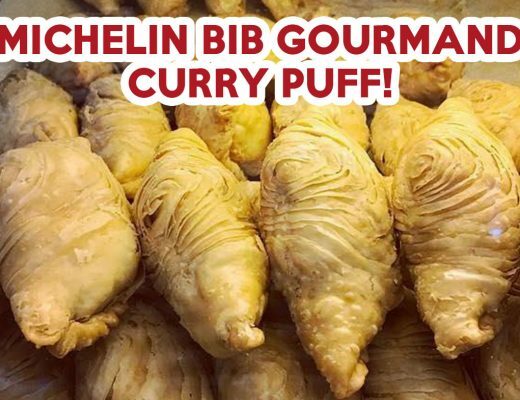 Here, you can pile your plate high with a minimum of 10 ingredients ($0.70 each), with choices such as lady’s finger, chilli, fishball and tofu, all of which are stuffed with scrummy minced meat instead of the usual fish paste. 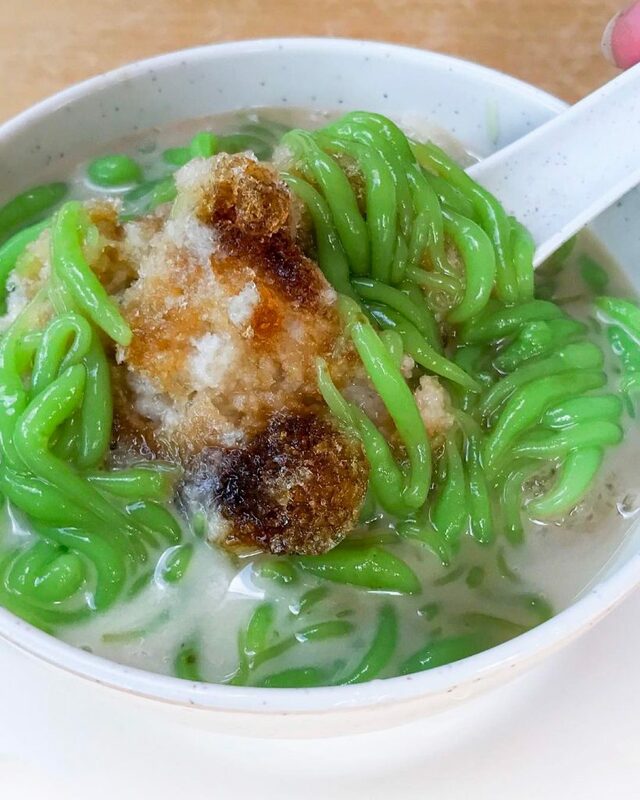 Finding chendol is easy in Singapore, but finding a good bowl that has just the right balance of sweet and salty? Now, that’s a tough one. Makan Melaka ticks all the right boxes in my ideal bowl of this ice dessert. Crowned with aromatic house-made pandan jelly, their Traditional Chendol ($1.50) uses a light coconut milk that’s not too rich, with sweet gula melaka lending depth to this refreshing treat. 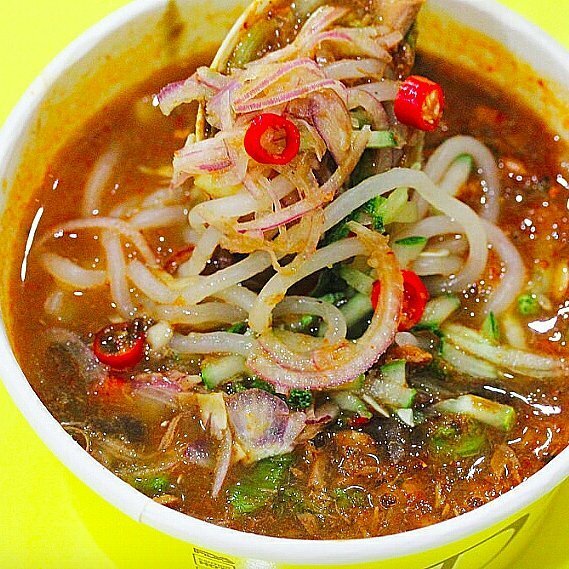 Trust popular Johor Bahru laksa stall D’Laksa to churn out a scrummy bowl of Assam Laksa ($3.50). Intensely flavoured and cooked with tamarind and sweet shrimp paste, the broth is complex with tangy, floral, and spicy notes. The laksa noodles are slippery smooth too, while the broth is accompanied by sliced onions, pineapples, and mackerel. Personally, my favourite dish in Penang is their char kway teow fried up with duck egg. And while we can’t find duck egg CKT anywhere in Singapore, Penang Bagus does a good imitation with their special char kway teow ($12) with crab meat. Substituting duck egg with salted egg yolk, the noodles are aromatic with a nice grainy texture. Essential for a good plate of CKT is, of course, the wok hei, which Penang Bagus did not discount. 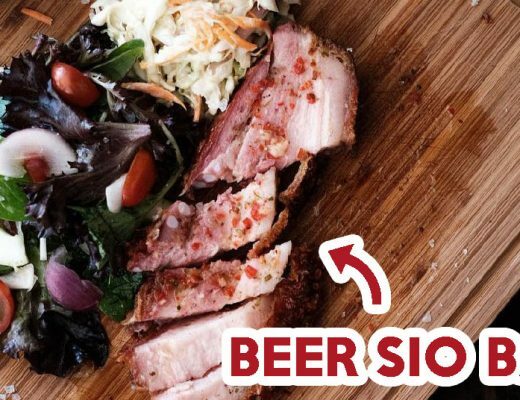 Check out our full review of Penang Bagus! Don’t come to Jalan Petaling Famous Malaysian Street Food expecting a plate of yellow noodles. 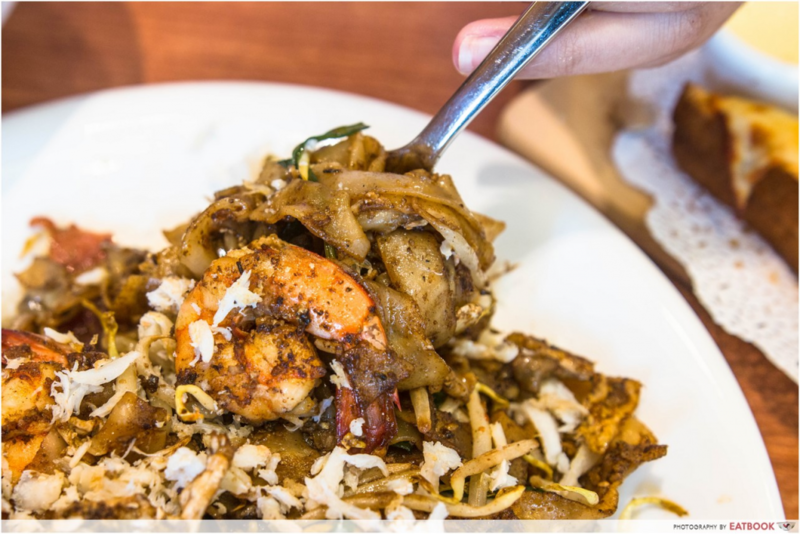 Here, their KL Seafood Hokkien Mee ($8.80+) is known for their sweet, black sauce that’s balanced off with a smattering of salty pork lard. Soaking up the sauce and giving a nice chewy bite is the KL thick yellow noodles, which are starchier in comparison to our Singapore noodles. Tucked away in a coffee shop in Toa Payoh is Yun Xiang Sarawak Kolo Mee. 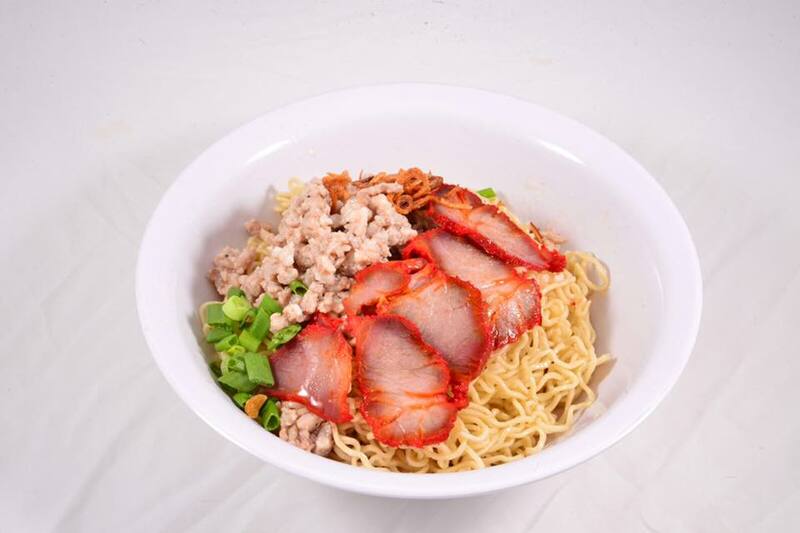 It offers both white and red kolo mee ($3.50), and the latter features scrummy char siew oil. The noodles are very bouncy, just the way it should be, while the char siew is not dry at all. Certainly one of the better kolo mee I’ve tasted in Singapore! I’m surprise that lok lok only started picking up in Singapore in recent years – it’s one of my favourite Malaysian dishes. 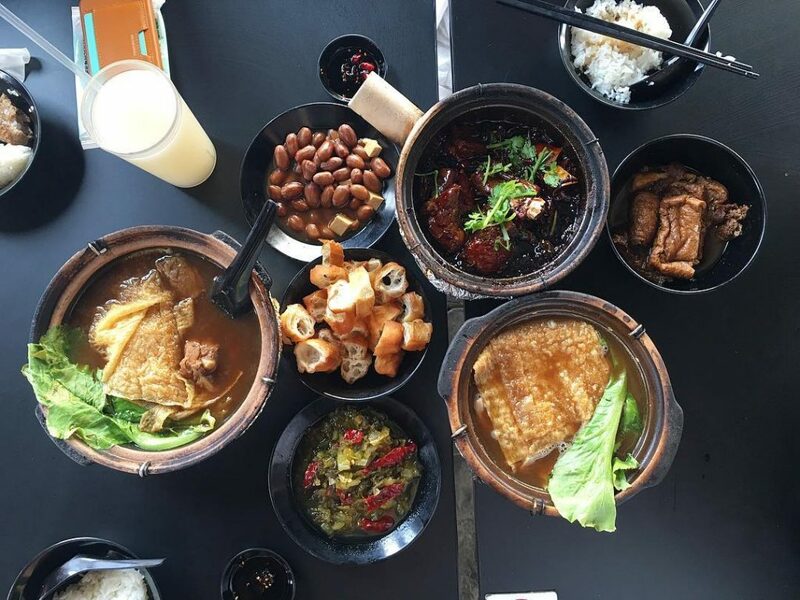 For a feast, head to Zao Lek Lok Lok ($24). 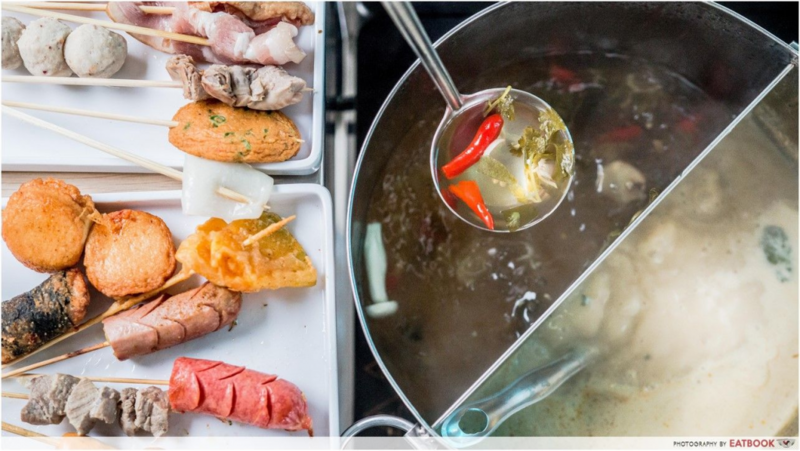 Offering free-flowing skewers of meat, seafood and vegetables, along with two choices of soup to dip your ingredients in, it’s no wonder this value-for-money lok lok buffet is constantly packed. Plus, they also have a condiments bar offering nine house-made sauces, from chilli to tom yum and satay peanut. Check out our full review of Zao Lek Lok Lok! 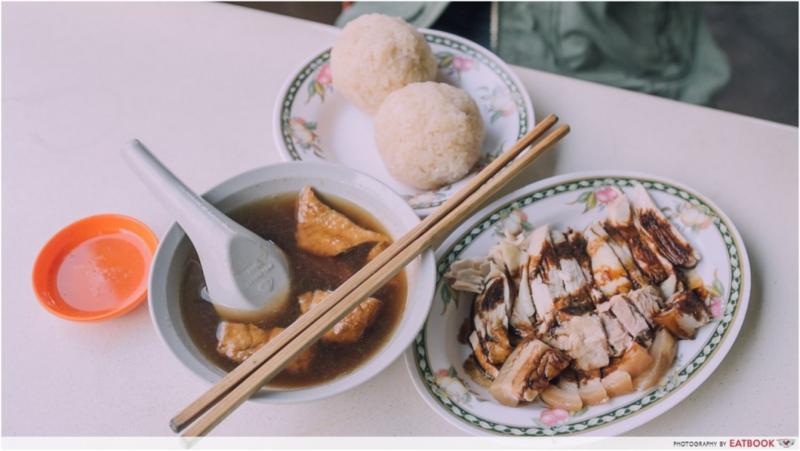 Melaka is famed for their chicken rice balls, and Hainan Chicken Rice Ball does a good rendition of this classic dish. The balls formed are larger than the ones sold across the causeway, but taste just as garlicky and fragrant. 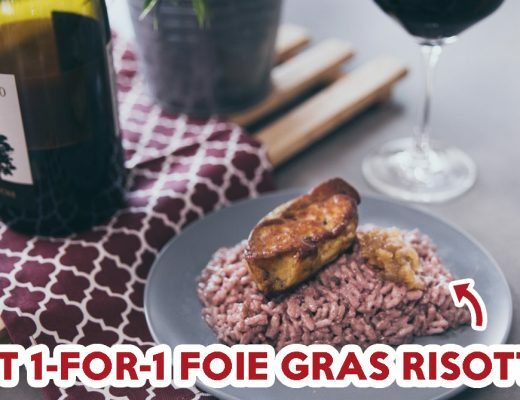 The chicken is sadly quite bland, which is why we are thankful for the side of braised pork belly that comes together in their Chicken Rice Set ($5). Malaysian and Singaporean cuisines are extremely similar yet different on so many levels. For more Malaysian dishes in Singapore, check out our review of Malaysia Local Delights and Penang Place.